We are looking for promotional staff you will be interacting with customers telling them about our servicesand helping customers with queries. 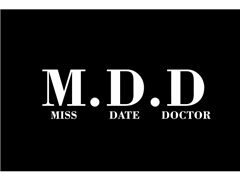 Miss Date Doctor is the new Dating Site providing life coaching, makeovers and dating services we are looking for customer service advisers and promo staff. We need people who are hardworking and professional to arrange bookings, makeovers and life coaching sessions for our clients and we also need actors for our adverts. We have 9am-5pm shifts available and also evening shifts 2 pm- 9 pm. We offer a vast list of services for our customers and need professional, well-spoken individuals to handle phone calls, administration and clienteles packaging and postage. We need reliable and hard-working individuals with impeccable customer service skills. We need outgoing characters with great interpersonal skills and confidence to portray ou life coaching brand in the correct manner. We also have vacancies for actors for our advertisements and sales roles. We need target driven, diligent individuals that have a good telephone manner and great attitude. We need actors for our online advertisements with previous experience, great attitude and confidence.